Let's redefine the classroom space together. 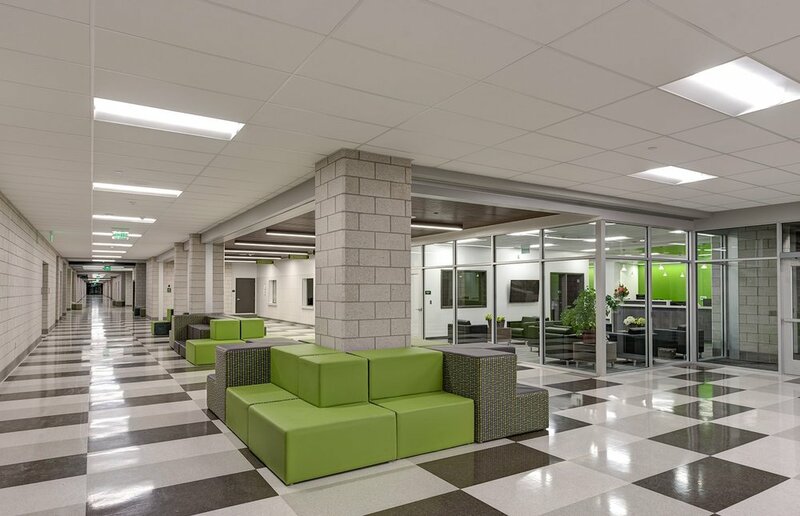 We’re seeing trends in educational spaces that are bringing more flexibility and technology than ever before. 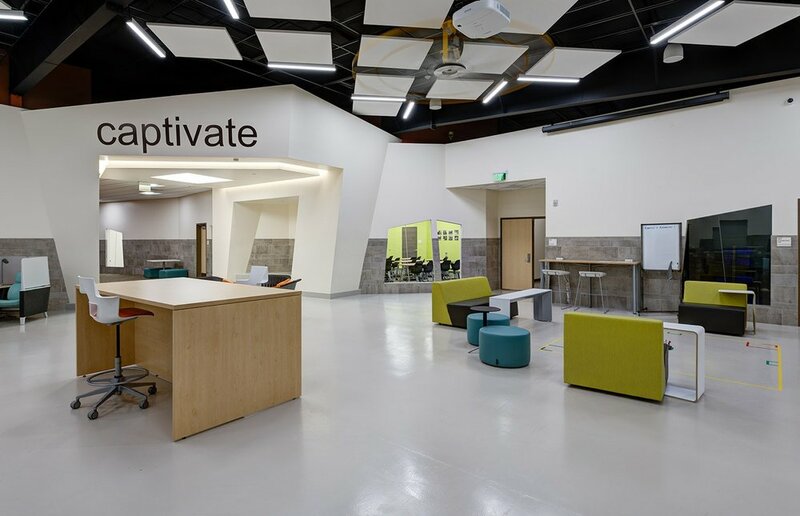 K-12 design in Utah is really coming to the forefront. security upgrades to protect our littles. 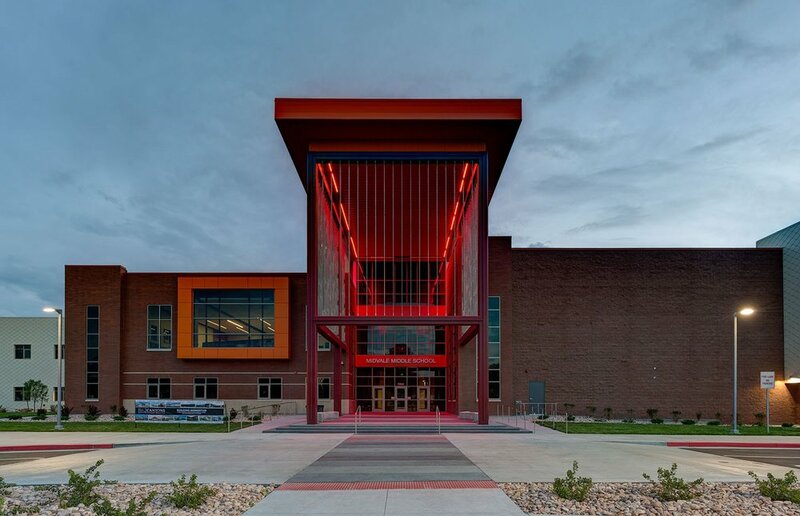 Park City SD put their high school renovation on hold to upgrade their security district-wide. Envision designed the security upgrades for 6 of their 7 schools and is midway on the 7th. Provo SD has already upgraded security systems for their schools, district-wide. Envision worked with the district back in 2014 to design and implement necessary controls, monitoring, and lockdown. Envision sat on the Davis SD's advisory committee and developed a security master plan for the District. It is now a living document, showing a master approach but able to be tailored. Envision has done 12 of the last 13 new or major remodel projects for the Davis School District since 2012. 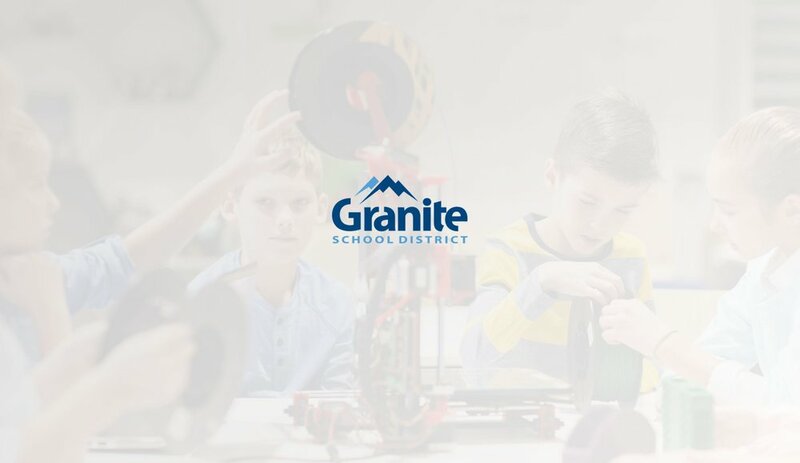 What may come to be known as the most advanced high schools in the state, the district's most recent Phase I bond will begin with rebuilding Skyline and Cyprus high schools. 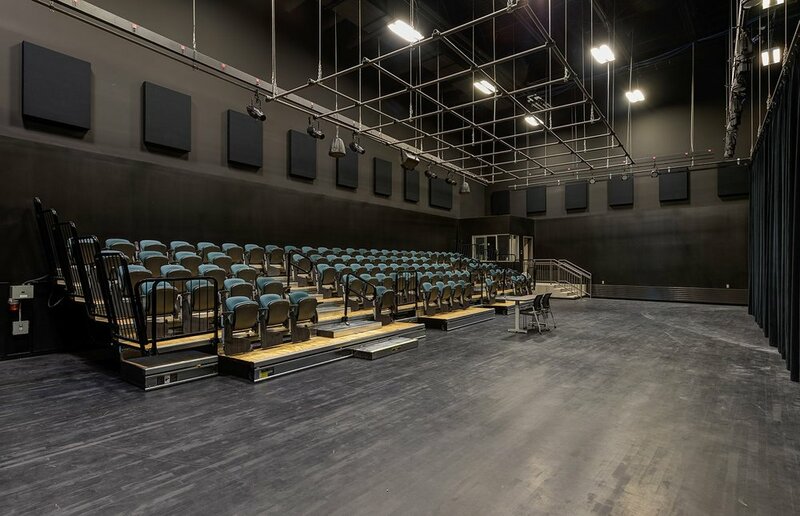 Both projects, budgeted at $80M each, are intended to be state-of-the-art learning facilities taking advantage of the latest technologies and pedagogy. 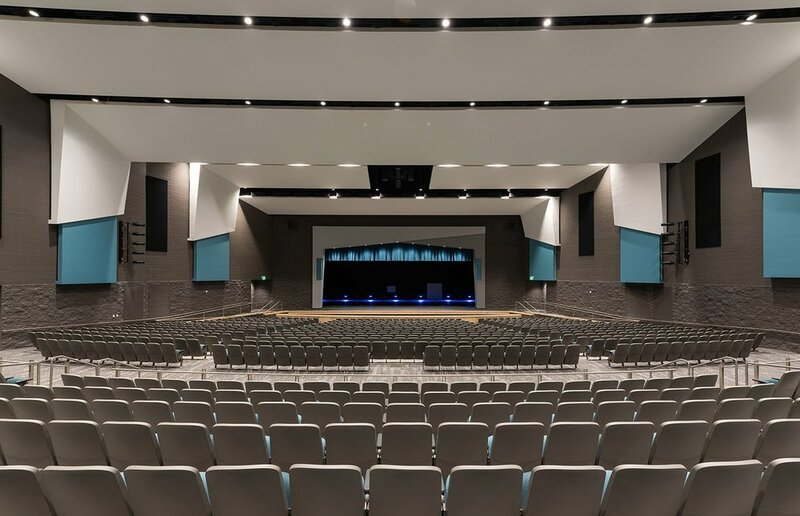 The schools draw design concepts and inspiration from other notable high schools and recently built higher education facilities across the U.S.
Canyons new Midvale Middle School, already known for its state-of-the-art 650-seat auditorium and TV broadcast room, had its ribbon-cutting ceremony August 8, 2017. 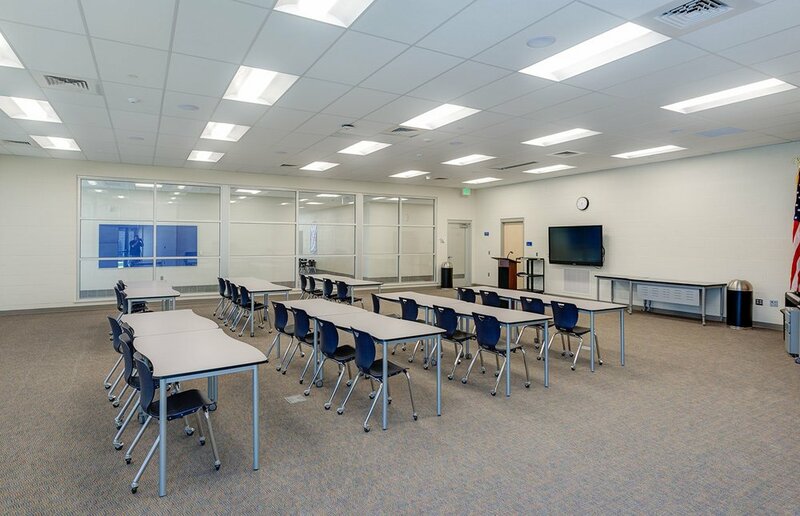 The school is highly energy-efficient, with substantial use of daylighting with floor-to-ceiling windows. 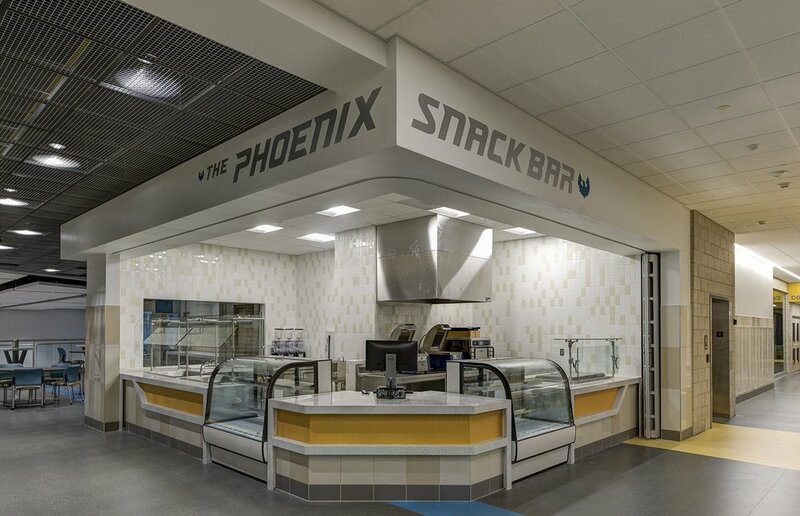 It also features programmable neon lighting in the student lounge. 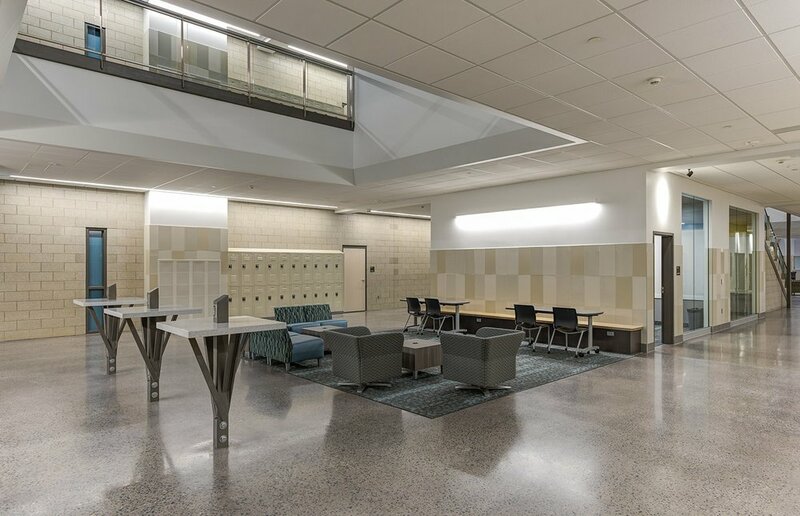 Originally 3 warehouse buildings, the campus was completely renovated to house the district's maintenance department, warehouse department, and various career and technology education programs (CTE Programs). These programs include shop and lab areas supporting Digital Manufacturing Technology, Industrial Automation and Design, Web Programming/Development, Aeronautics, Auto Collision Repair, and Home Construction. 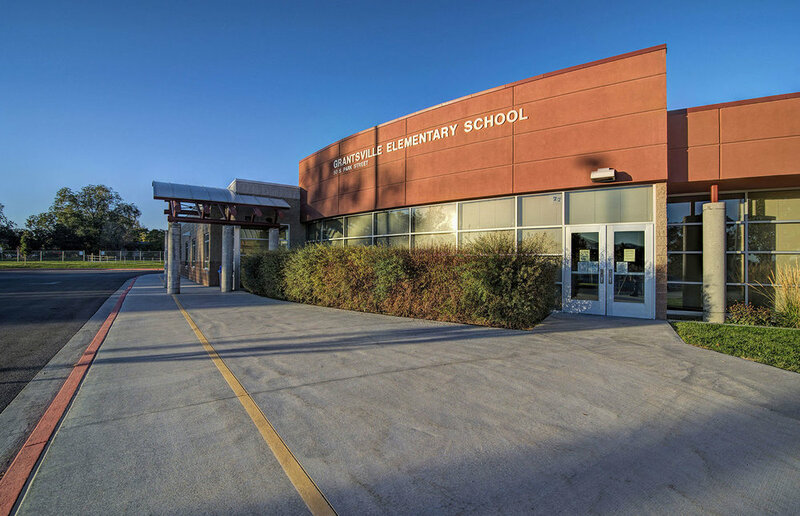 This elementary school, along with Kay's Creek Elementary, were both copies of the original Davis School District flagship net-zero prototype, Odyssey Elementary (2014). Both Canyon Creek and Kay's Creek have solar panels installed. 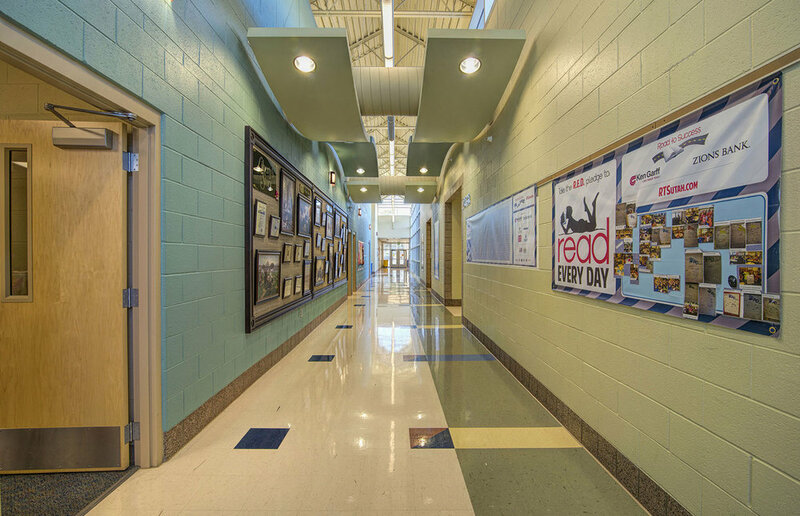 This model has become the new standard and base for the District's future elementary builds. The West Bountiful rebuild sits on a challenging site. Site rebuild experience was a determining factor in the design team selection. On the outside, the new school will have much better access from the adjacent streets. 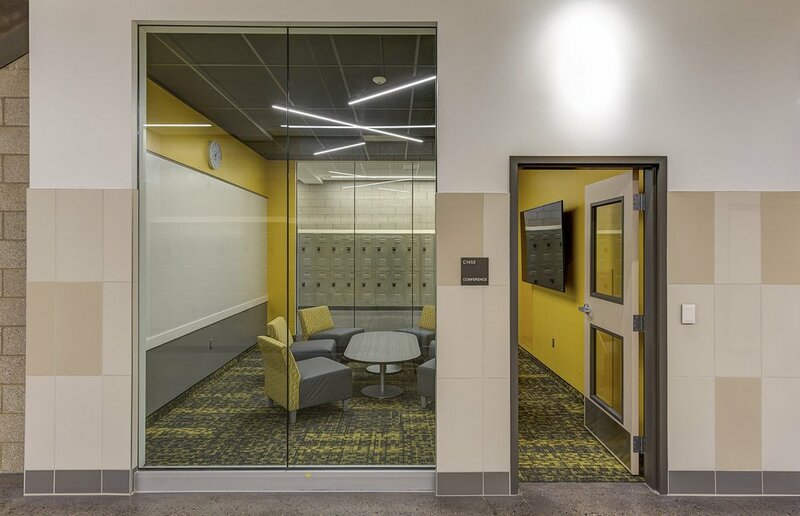 On the inside, flexible learning with a pursuit of smaller learning communities, a robust wireless network, and state-of-the-art classroom technology. This school will become the District's 4th zero-energy elementary building. Butler was open to the district in August of 2016. 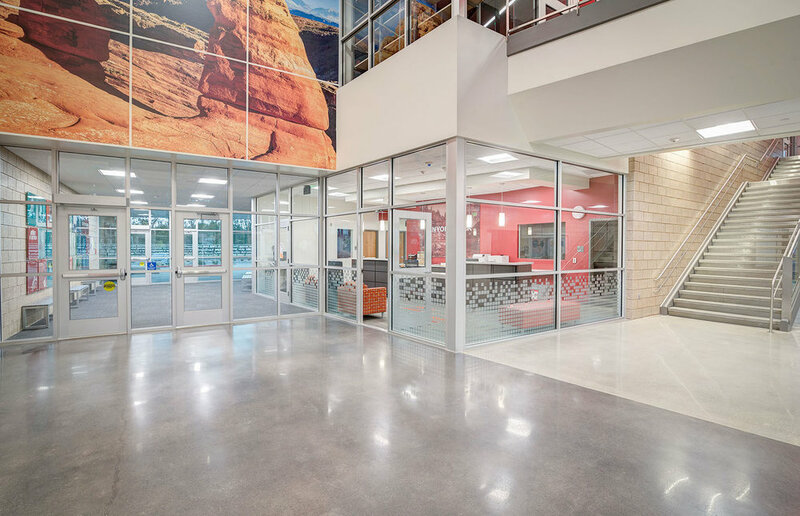 The rebuild, featured in Utah's own Utah Construction and Design magazine, features themed wings, flexible learning spaces, and unique linear lighting down the corridors. 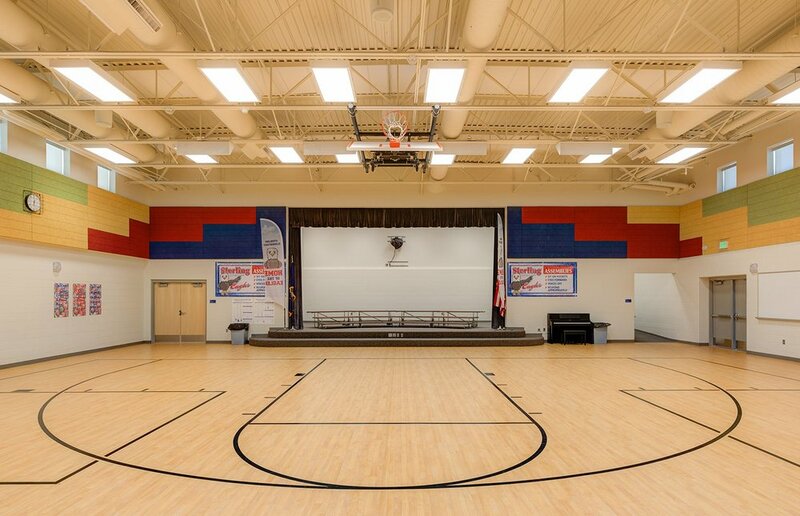 The new elementary school replaced the existing Grantsville Elementary that was damaged due to a fire. Extensive site investigations and utility coordination were necessary to insure all existing utilities where removed and or relocated to minimize the work on the new site. 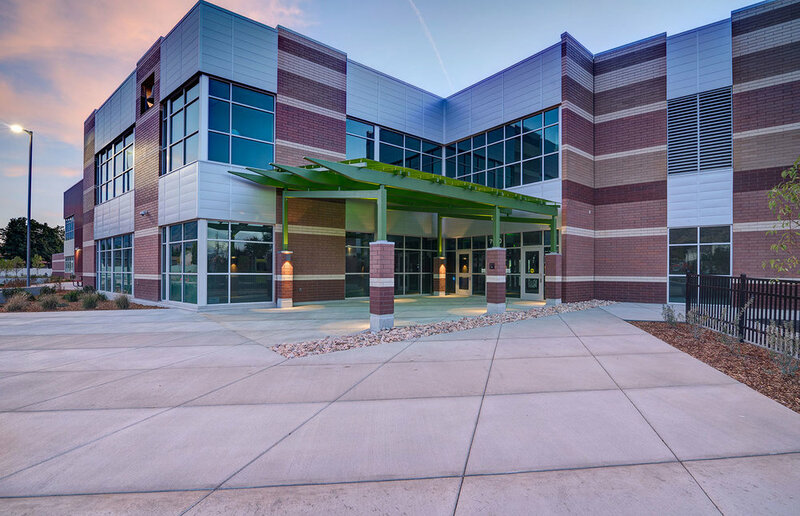 The District welcomes the new junior high school to meet a growing student population in Davis County. 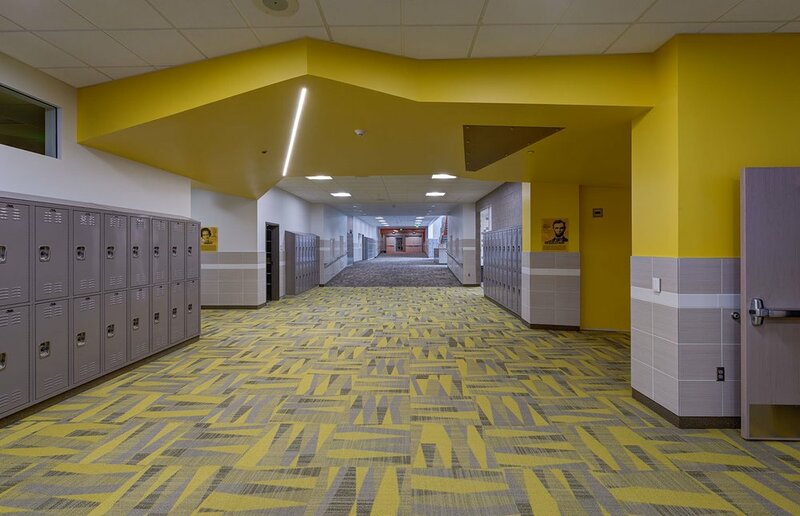 The design was initially based on the Centennial Junior High School model built within the District in 2012. 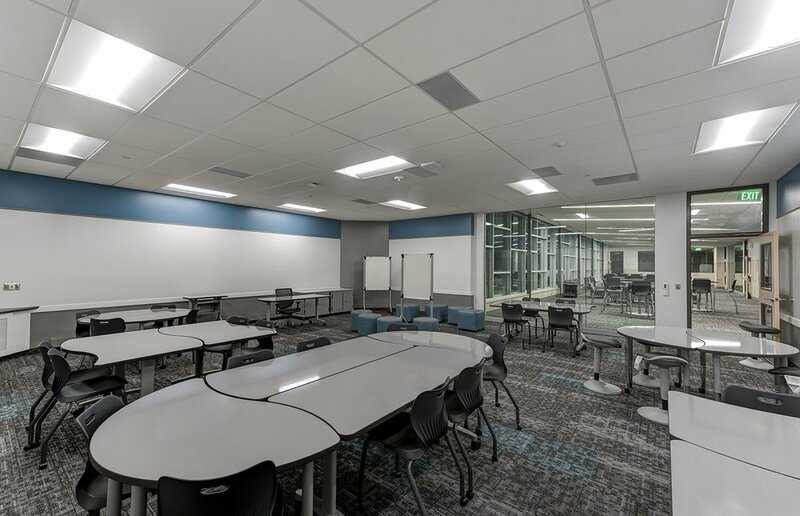 It welcomes many improvements, lighting innovations and technological advancements for modern and flexible learning areas. Like other new construction K-12 buildings within the District, the building is a net-zero ready facility. 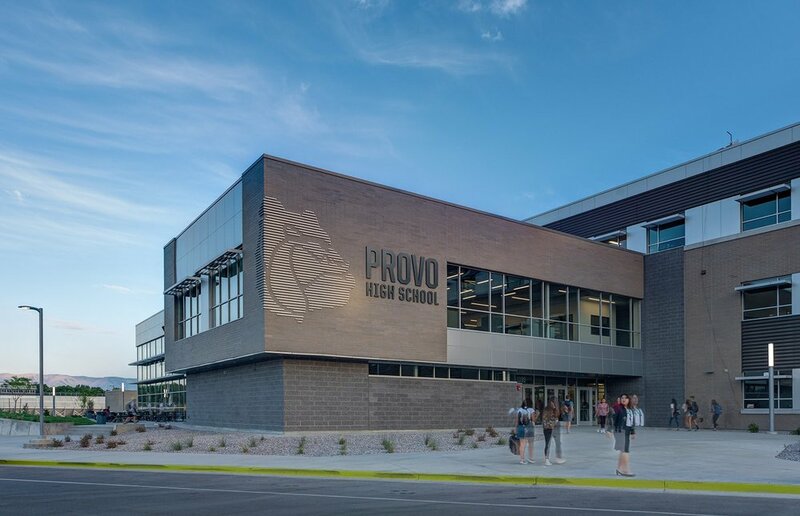 The Provo High School Rebuild is part of a series of new construction facilities funded from a $108M bond passed in late 2014. The existing high school, over 50 years old, will be replaced with nearly 300,000 SF of new classroom and support spaces, and an additional 40,000 SF of gymnasium that will undergo a remodel and maintain its function. 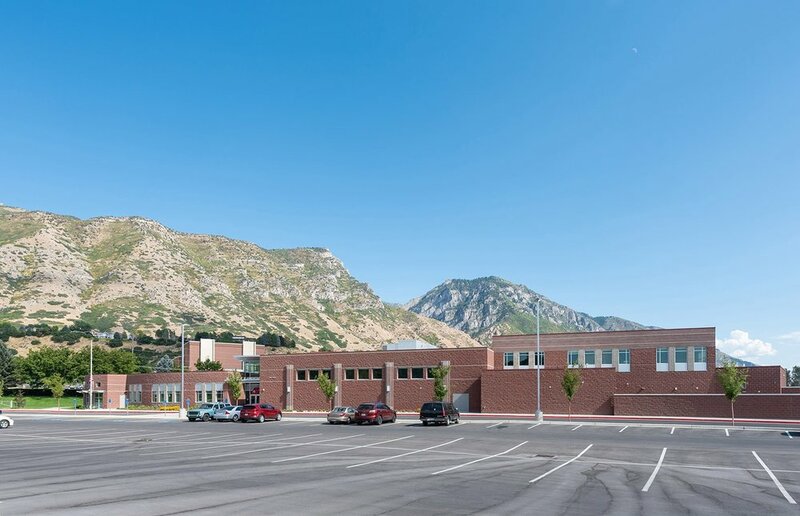 These two schools, adapted from the North Ogden Elementary plan, were updated to replace the old and outdated original Edgemont and Provost builds. 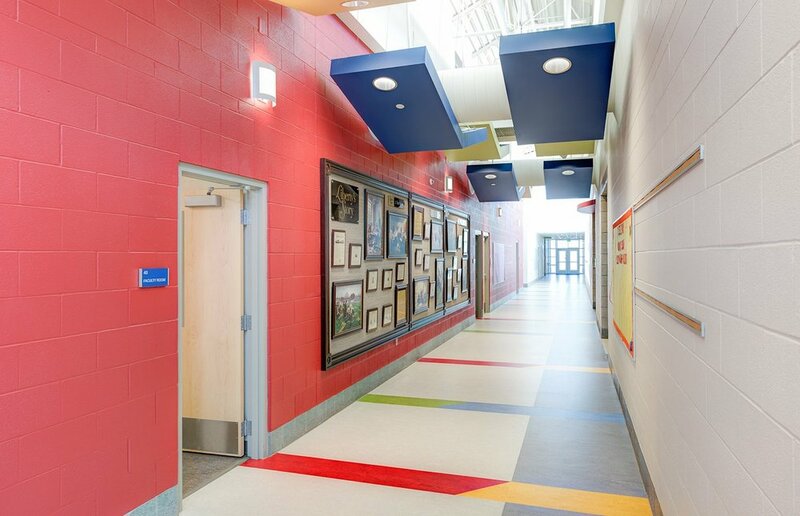 The facilities were brought up to current educational and building code standards with high energy modeling and efficiency. 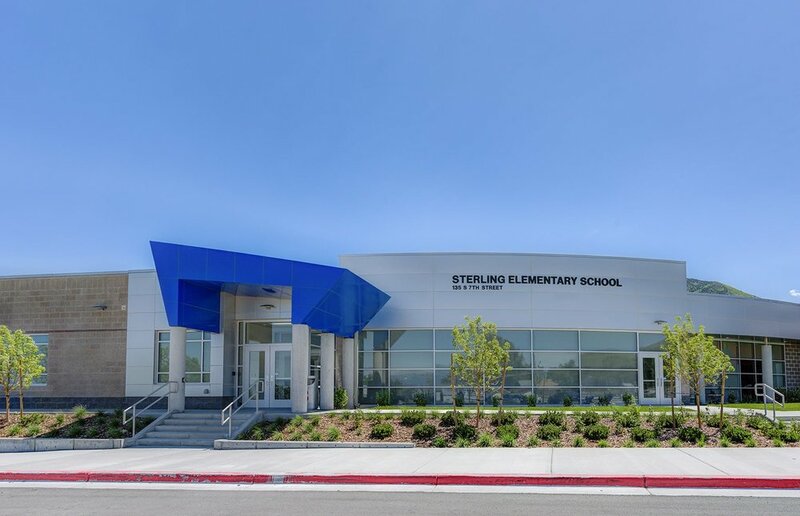 These two new elementary schools were repeats of the Grantsville Elementary Rebuild, which Envision also designed with MHTN Architects. While Sterling Elementary was a replacement building, Old Mill was a brand new build to serve the growing population. 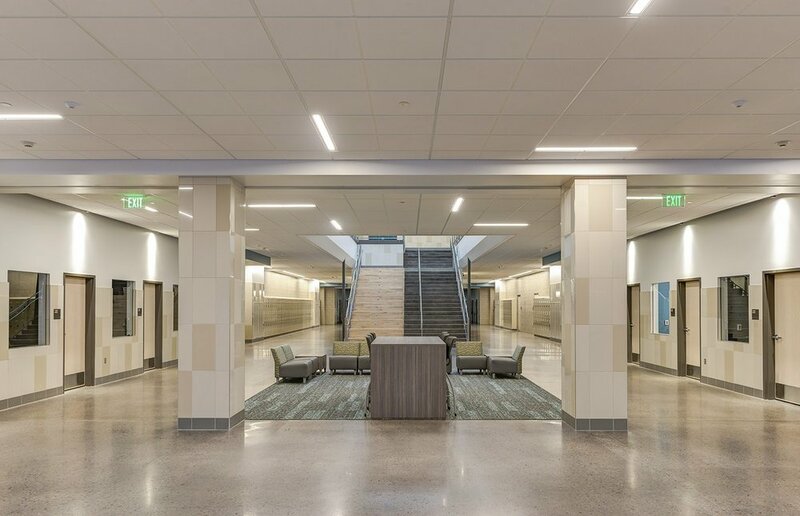 This high-efficiency middle school is a new building for the District's increasing student population size with the growth of Daybreak. It features daylight harvesting, lighting controls, and energy efficient fixtures. In terms of sheer size, this massive flexible-classroom high school will finish at just over 400,000 SF. The front of the building will be wider than 2.5 linear football fields. 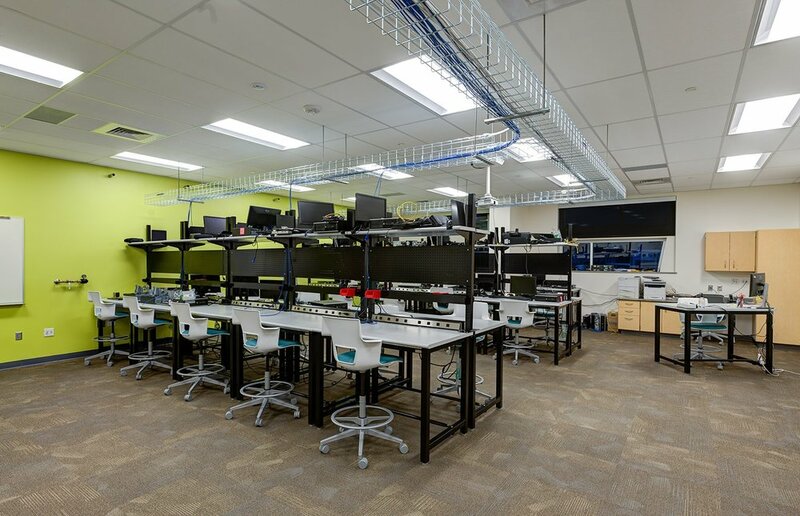 The facility is technologically advanced, with a robust wireless framework to support connections to the Internet and classroom TV usage. 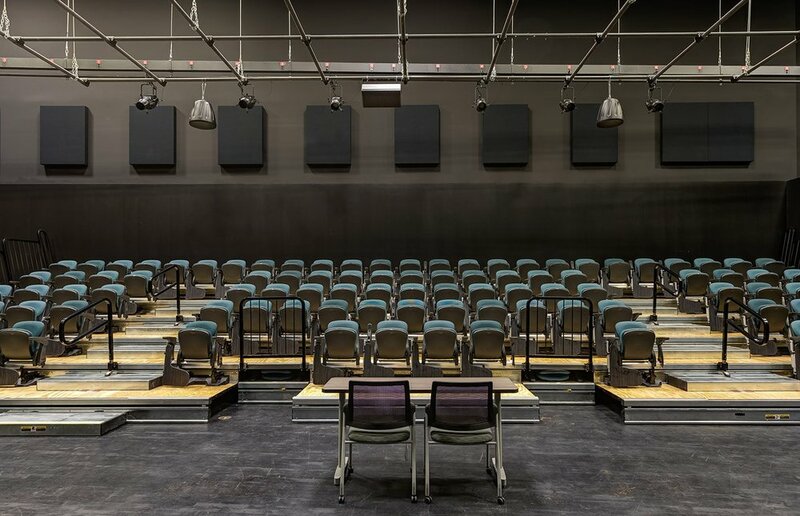 A lecture capture system is possible, capturing the live classroom instruction and streaming for student review or in the event of absense. This building is also net-zero ready. 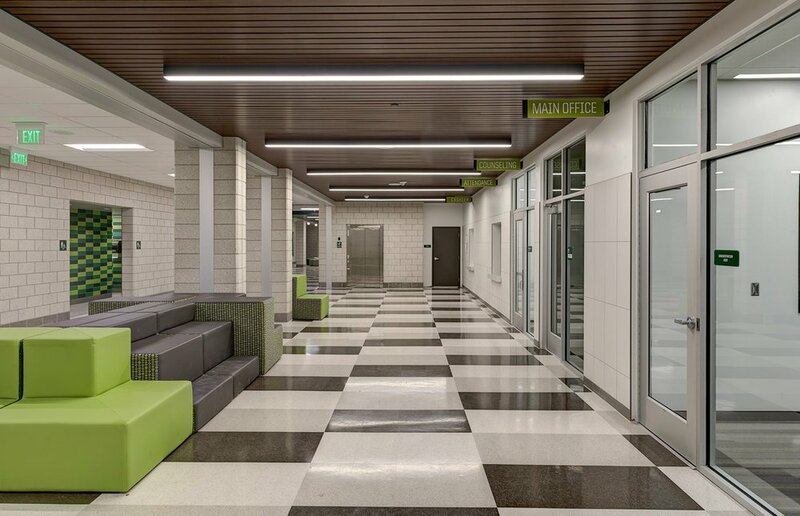 This project is a large remodel and addition planned for the existing Park City High School. 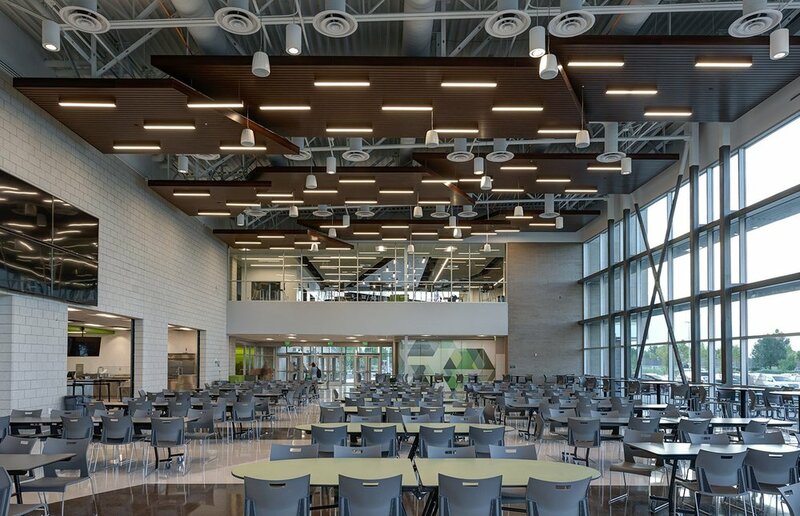 It will add classroom space, athletic space, CTE, choir and band space, and bring the building up to current building and energy code standards. Lighting and lighting controls will also be updated for maximized energy efficiency. This project is currently on-hold as PCSD is completing a district-wide security upgrade first. 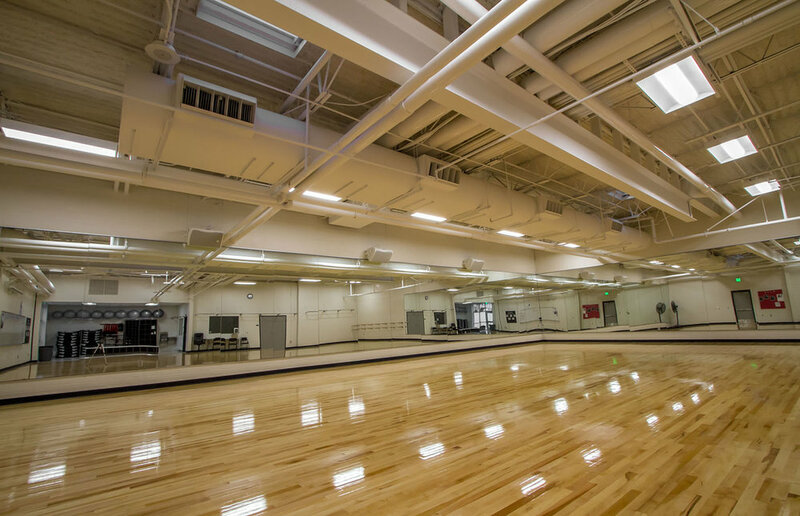 Alta High School’s Phase I Remodel added four new classrooms (replacing a large open body shop), remodeled a large weight room, and finished a new dance floor for its 2400 students grades 10 through 12. The front entrance to the building was also upgraded with a new finish and new lighting. Seeking a tailored resume from us for a K-12 project? Let us know! We're available and happy to help.